On Monday, the FBI notified Judicial Watch that the bureau will need at least three years to hand over “releasable,” communications between anti-Trump FBI agents Peter Strzok and Lisa Page. “FBI just told @JudicialWatch it needs at least three years to process and turn over releasable anti-@RealDonaldTrump Strzok-Page communications. Outrageous,” Fitton tweeted. As The Gateway Pundit previously reported, Judicial Watch announced on January 24th that the watchdog filed an FOIA lawsuit against the Justice Department for communications between Strzok and Page. (Washington, DC) – Judicial Watch announced today that it filed a Freedom of Information (FOIA) lawsuit against the Justice Department for text messages and other records of FBI official Peter Strzok and FBI attorney Lisa Page (Judicial Watch v. U.S. Department of Justice (No. 1:18-cv-00154)). The text messages are of public interest because Strzok and Page were key investigators in the Clinton email and Trump Russia collusion investigations. Fitton has called on President Donald Trump to direct U.S. Marshals to seize computer evidence at the FBI in relation to the missing Strzok-Page text messages. “In response to FBI “missing” texts scandal, AG Sessions should direct U.S. Marshals to take steps to seize, secure and preserve necessary computer evidence at FBI. And if AG doesn’t act, @RealDonaldTrump should order it be done,” Fitton tweeted two days before filing the FOIA against the Justice Department. In response to FBI "missing" texts scandal, AG Sessions should direct U.S. Marshals to take steps to seize, secure and preserve necessary computer evidence at FBI. And if AG doesn't act, @RealDonaldTrump should order it be done. 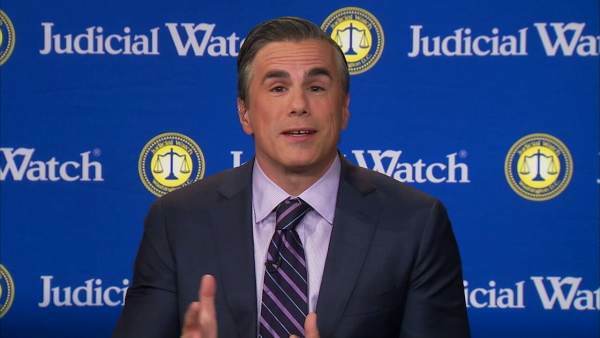 The post TOM FITTON: FBI Notifies Judicial Watch It Needs At Least THREE YEARS To Turn Over Strzok-Page Communications appeared first on The Gateway Pundit.